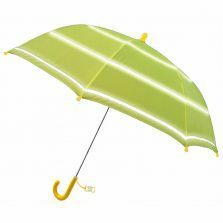 Kids Rainbow Umbrella up here in Kids Umbrella Heaven! 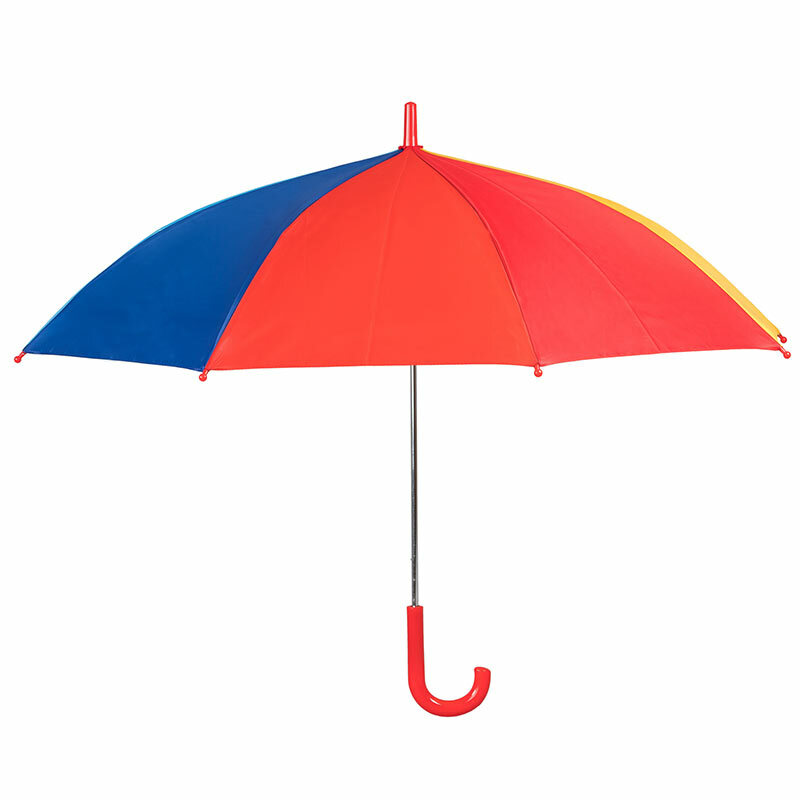 Kids Rainbow Umbrella, a veritable kaleidoscope of colour for boys or girls alike. 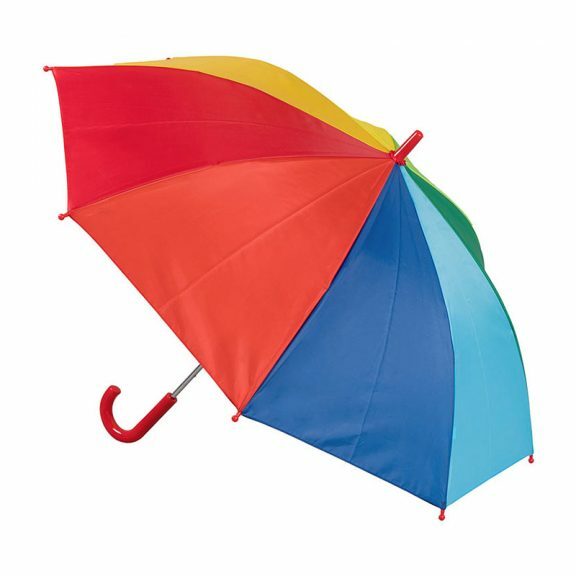 Brighten up the world and brighten up their day with one of these bright and beautiful kids rainbow umbrellas. Introducing our bright and beautiful Kids Rainbow Umbrella. All the colours of the rainbow. 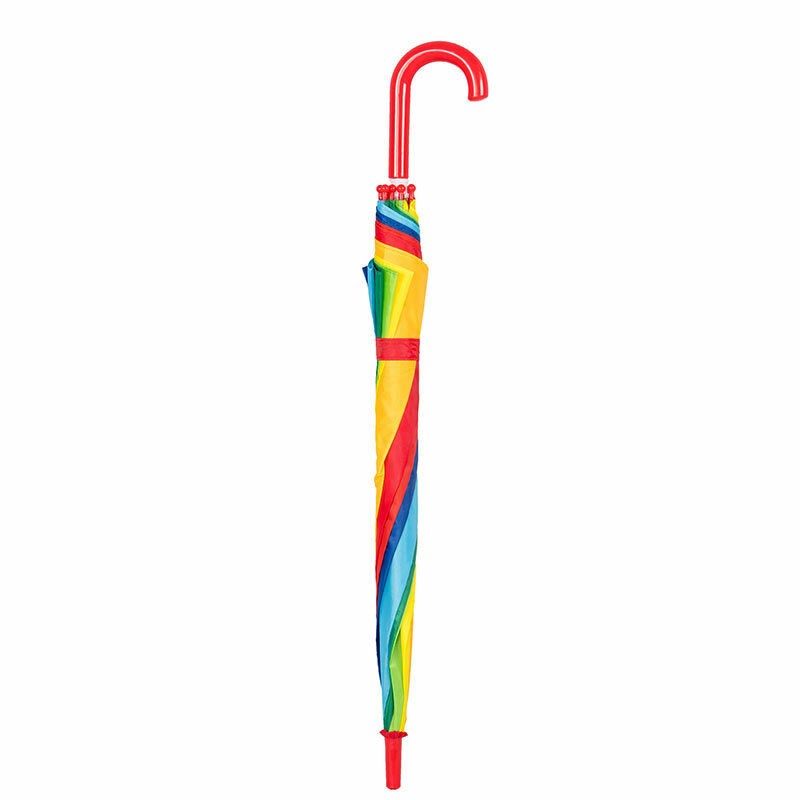 Your children will want to parade with pride with these delightful kids rainbow umbrellas. 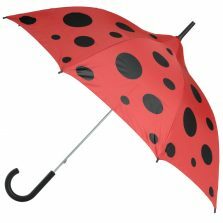 This cheerful children’s rainbow umbrella has a smart red crook handle, tip and rounded spoke tips to match. The canopy span is 88 cm (34″) and length is 70 cm (27.5″) from handle to tip. It has a metal frame and shaft. If Mum and Dad would also like a rainbow umbrella that’s no problem. 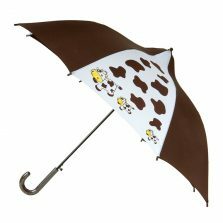 Click to check out our rainbow and art umbrellas! One of the nice things about a kids rainbow umbrella is that it’s a gender neutral umbrella. Great for boys and girls alike. 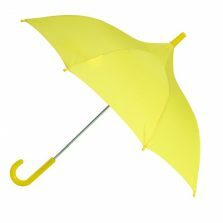 Buy one for each of your children to stop any arguments. Top tip: To avoid mix ups at school, you can always right their names on the tie wraps using a permanent marker pen.